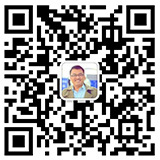 The energy consumption diagnosis can help companies save energy and reduce emission, which China places great value on. By offering an exclusive energy efficiency scheme, Himin Solar can let our customers know how to meet the energy-saving target and make the enterprise development unimpeded. We continue to develop the green enterprise and realize the economic growth. The PV power station is connected with the local power grid. The redundant power is sold to the power grid, so as to obtain more economic benefits. The off-grid system is connected with the storage battery through a charge controller, and the generated electricity can be stored for future use. It can meet the demand for electricity of both rural enterprises and work stations. The solar light is a perfect combination of energy saving, environmental protection, as well as illumination and beautification functions. This all-weather product automatically utilizes the solar energy for power generation. It possesses ultra strong adaptability and practicability, so there is no need to install the complex and expensive pipeline. The lighting layout can be arbitrarily adjusted. 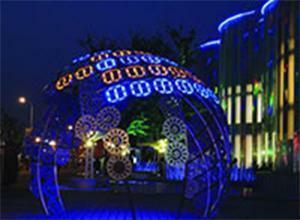 Furthermore, this product is considered as nice scenery to adorn the factory road. 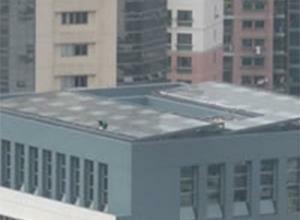 The surface of peripheral structure of a building can be installed with photovoltaic module so as to provide electric energy. Meanwhile, this module can act as the function pat of building structure to substitute for part of traditional building structure. 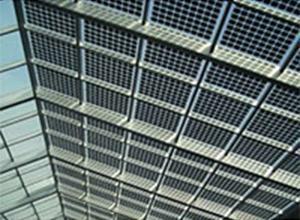 It can be also made to be a multifunctional BIPV module, so as to realize more functions, such as lighting, shading and some others. 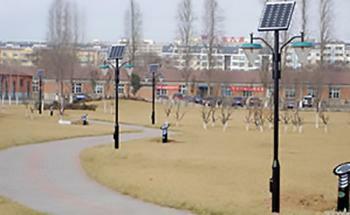 Moreover, the in-situ energy generation or consumption can be realized. Apart from guaranteeing the electricity use for its own building, our product can also provide the power grid with electricity, so as to ease the demand for electric power during peak hours. The solution of environment-art clean energy lighting is an integration of illumination, landscape art, and the photovoltaic power generation. 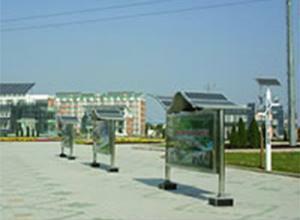 It comprises the solar light, solar sculpture, solar landscape door, and some others. Considering the environment, micro emission, culture, future and other aspects, the multidimensional human and natural landscape is made. It can not only guarantee its functions, but also reflect its cultural values ? ?and eco nature. 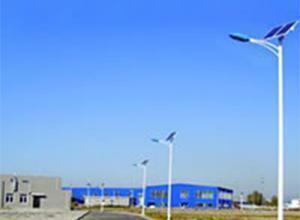 It can effectively solve the problem of energy conservation and emission reduction for factories. The infrastructure can not be ignored. 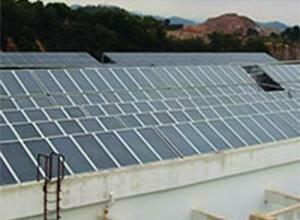 The solar infrastructure can not only offer the operational functions, but also beautify the factory environment. The Himin desiccation and dehumidification technology can not only solve the industrial problems, but also save a great number of conventional energy sources. Under the current energy-shortage environment, it plays an active role in the healthy development of national economy. Customer Requirements: The use of clean power features low investment and great benefits.